Blake Shelton has revealed cover art, release date and title for his eleventh studio album. 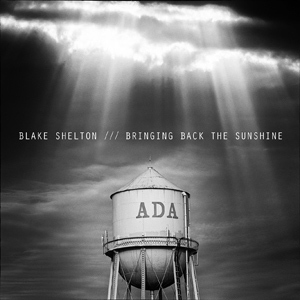 Expected to hit shelves Sept. 30, Shelton’s Warner Bros. Records album will be titled Bringing Back the Sunshine. Produced by Shelton’s longtime collaborator and award-winning producer Scott Hendricks, the CMA’s four-time reigning Male Vocalist of the Year will release the lead single from the album in the coming weeks. Recently breaking his own record for most consecutive No. 1’s at Country radio (12 in a row, 17 overall), Shelton is currently on his Ten Times Crazier Tour 2014, which culminates on the west coast this fall. Bringing Back the Sunshine is exclusively available for pre-order now at Walmart.com.